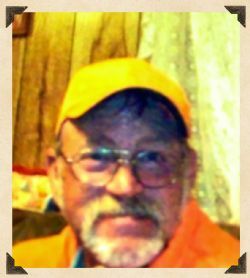 Thomas Leon House, age 64 of Snowball, Arkansas passed from this life on Friday, January 12th, 2018 at his son�s home in Marshall. He was born in Harrison, Arkansas on October 9th, 1953 to Thomas House and Margaret Deon Livingston House Horton. 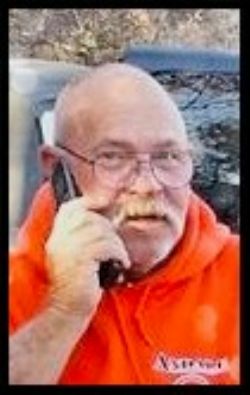 Tom was an avid outdoorsman who loved fishing and hunting. He enjoyed spending time with his family, especially his grandkids. Tom had an excellent sense of humor and liked to joke and tease with his family. Survivors include one son, Thomas Wayne House and wife Amber of Marshall; grandchildren, Dakota Wayne House, Mason Denver House and Kimberly Renee House, all of Marshall; one sister, Shirley Switzer of Marshall; and numerous aunts, uncles, other family and friends who will also mourn his passing. Tom is preceded in death by his parents; two daughters, Carla Ann House and Amanda Gale Barrett; one infant grandchild, baby House; and one brother, Jimmy Dale House. Arrangements are by Roller-Coffman Funeral Home in Marshall, Arkansas. Graveside services for Tom will 2:00 PM Sunday, January 14th, 2018 at Snowball Cemetery with Bro. Shane Horton officiating. Pallbearers will be Don J. Switzer, Jessie Switzer, Dakota House, Jason Switzer, Mike Hale and Eric Oliver. Honorary pallbearers will be Ronnie Hiett, Roy Hodges, Robert Ferguson, Montana Flint, Stewart Dickey, Mike Baker, Clinton Cole, Mason House, Cash Cox, Zach Dickey and Ashley Hale.